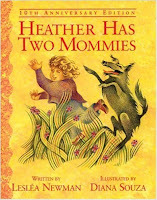 The website Bustle published an article featuring a nice selection of children's literature which explores Lesbian/Gay/Bisexual/Queer/Transgender/Two-Spirited/Intersex themes. 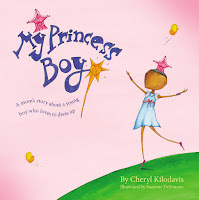 As a parent who is always on the lookout for #diversebooks, this was a helpful resource for new and new-to-me books about LGBQTTI issues. We know that social attitudes are formed very early in life and that parents play a pivotal role in influencing how children respond to the diverse world in which we live. We also understand that sexual orientation and gender identity tend to manifest naturally when kids are very young. 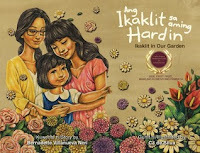 So, it's not just a matter of encouraging our kids to be kind and accepting of difference in others, we're also helping LGBQTTI kids to understand and accept themselves within a welcoming family environment. Halifax Public Libraries is programming a number of events for children and families (adults, too!) as part of July's Pride Month activities. Here are a few more titles to look for this month and year-round! 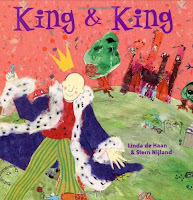 King& King was the subject of a censorship campaign in Efland, North Carolina after Efland-Cheeks Elementary School teacher Omar Currie read the book to his third-grade class as a way to address homophobic and sexist behaviour in his classroom. You can read the most recent development in this story (as of this writing) here.